Enjoy the Ultimate in Luxury with this Christmas Package. 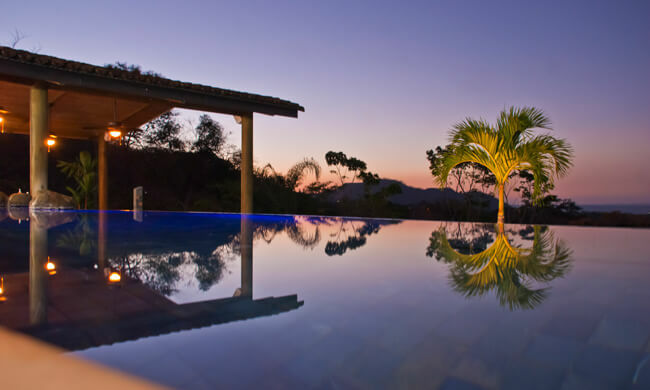 Treat yourself to ultimate luxury and spend your Christmas holiday in the amazing scenery of tropical Costa Rica. Begin your romantic trip with a three night stay at a lavish, award-winning, 5-star resort in the Arenal Volcano area—Tabacon Grand Spa. Enjoy exploring the Arenal area with its breathtaking scenery; after an exciting day of excursions, relax at the most elegant hot springs in the country. Then travel to Guanacaste’s Golden Coast to be pampered at the ocean-view, boutique hotel in the Papagayo peninsula—Villa Buena Onda. 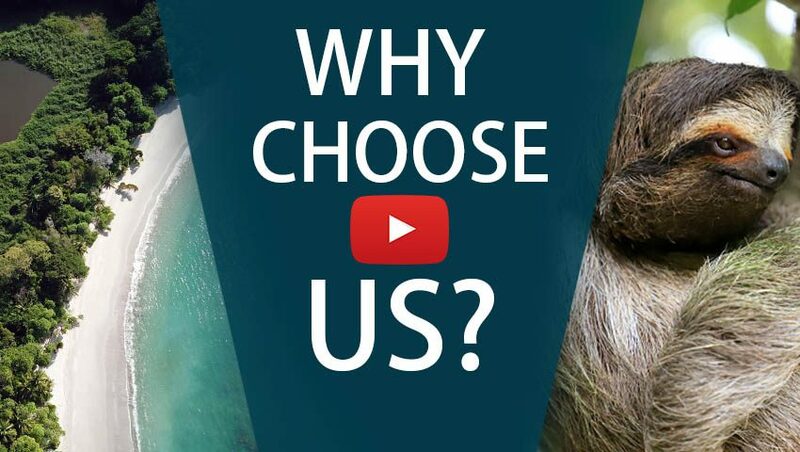 With more staff than rooms, your relaxation and enjoyment is the absolute priority here. Exquisite a la carte meals are included in your stay! Enjoy the excellent cuisine and stunning two-tier swimming pool where you can relax with a cocktail from the swim-up bar. Explore the beaches, take to the water on a sailboat, or go on a scuba diving trip to the famous Catalina Islands. In addition, guests will have members-only access to the exclusive facilities at The Club at Coco Bay and the Beach Club at Playa Ocotal. Make use of the gym, pool, and tennis courts as well as have access to snorkeling gear and yoga lessons. Private transfer to the Villa Buena Onda with an English-speaking driver—And 15% Off your Stay! Fly into San José International Airport where one of our representatives will meet you and show you to your private transfer. You will then be driven to the Arenal Volcano area, where you will stay at the widely renowned Tabacon Grand Spa Thermal Resort, a five-star luxury hotel with award-winning Spa. Enjoy your premium luxury amenities, personalized service, and exquisite dining at Tabacon Grand Spa Resort. Immerse yourself in the beauty of the lush tropical forest while enjoying a cocktail at the Shangri La Gardens—an adult-only, upper section of the Tabacon’s hot spring terraces. Visit some of Arenal’s hot spots—La Fortuna waterfall, the Hanging Bridges or Arenal Volcano National Park, to admire the spectacular wildlife of the tropical rainforest and the stunning volcano views. A private transfer will take you on a three-hour drive to the luxurious, ocean-view boutique hotel in Playas del Coco—Villa Buena Onda. Enjoy stunning ocean views from the two-tier pool, the outstanding a la carte meal-inclusive plan, and the relaxed environment of the secluded, boutique Villa Buena Onda. The top-notch, personalized service will seamlessly execute any requests you might have. Explore the surrounding beaches with complimentary transport or choose an additional Private Hidden Beach Picnic Tour (exclusive to Costa Rican Vacations) in the Papagayo Bay for a day filled with sunbathing on the pristine, white sand beaches, snorkeling, and swimming in the crystal-clear waters and exploring beautiful vistas of the area. Take the complimentary transportation from the Villa down to The Club at Coco Bay—free during your stay at Villa Buena Onda—and enjoy member-only access to the tropical pool, tennis courts, yoga pavilion, and full-service restaurant. Further down the road and steps from the tranquil, black sand beach of Ocotal, you’ll find the Beach Club. Here you can relax in the infinity pool or lounge in the beach chairs provided, or even use the snorkeling gear to explore the water! Villa Buena Onda will pack your lunch for you if you want to spend all day at these exclusive facilities. A private transfer will take you for a 20-minute ride to Liberia International Airport where you will catch your flight back home. 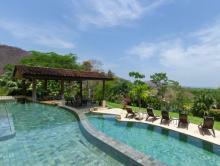 Villa Buena Onda is the best hotel in Costa Rica for service. It is one of the finest inclusive, adult-only hotels. Ask about special offers.